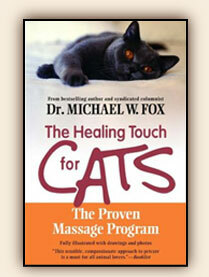 Distinguished veterinarian and animal psychologist Dr. Michael W. Fox shares his pioneering 6-step massage technique through detailed illustrations, photos, and easy-to-read instructions, and provides information on how to understand your cat’s anatomy, develop a massage routine, use massage to diagnose illness, and integrate it as part of an overall care for your cat. This proven massage program for cats helps affirm the human-animal bond by providing instruction on why cats need massage, how to understand your cat’s body language, how to give a diagnostic or therapeutic massage, and how to keep your cat healthy. This wonderful book is comprehensive, yet simple to follow and written with tremendous compassion and experience.